The folks at CESI and Walbro Engine Management know that today’s best enterprises are those that respond quickly and operate efficiently. They also know that companies must depend on their ERP data for smooth operation and effective decision-making. But, all that data needs to be well-maintained, which can mean tedious and repetitive tasks that are a source of pain to their staff. It can keep them from reacting adequately to customer needs and give them spotty or inaccurate data — which adds to their everyday stress. If you are attending the MWUG Spring conference in Lombard, IL in March, don’t miss this opportunity to find out how CESI and Walbro have eliminated bottle-necks, saved hundreds of man-hours, and increased profitability across their enterprise with the help of 32 Soft’s solutions for QAD. 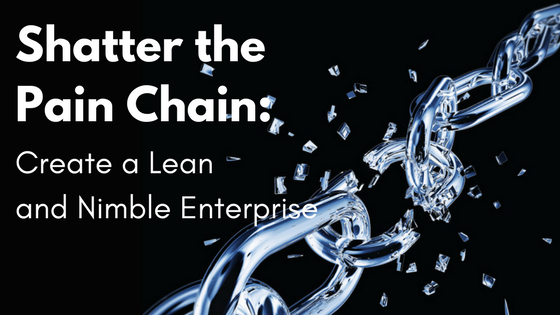 They shattered the pain chain in the areas of master data maintenance, inventory control, production and planning, supply chain management, financial oversight, and compliance! Join Don Lindsey, Judy Gardner and Nancy McCrimmon at the Spring 2018 Midwest User Group Conference!